I go back this coming Wednesday. I can’t even believe it. Where did the time go? Our official work days will be Wednesday and Thursday. They are filled with our staff meetings, Meet Your Teacher morning, Back-to-School night, getting our class lists, finding out if we have a combo or not, and setting up our classrooms. The kids show up the following Monday. We have a -new to first grade on our campus- teacher this year. (Hey Kim!) We are excited for the new blood. Hopefully she will be just as excited for all our crazy. Working for over 18 years together does encourage some crazy. She’s been good. That eager new blood has dragged her into her classroom a few times this summer. We have themes in our classrooms. 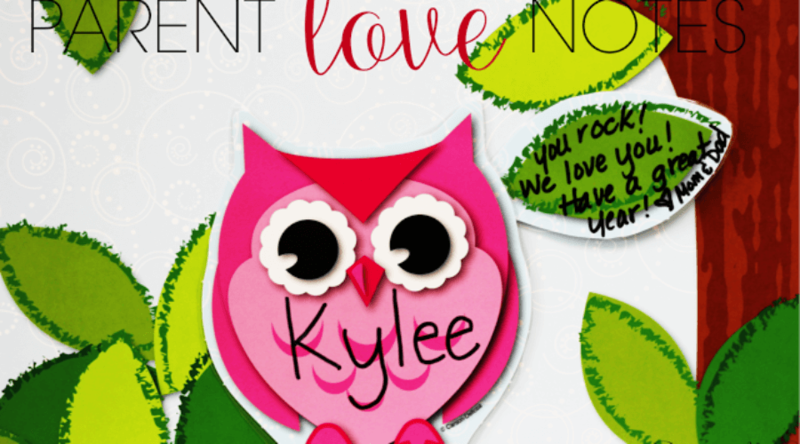 My dragonflies, my dear forever friend and teammate, Denise, is all about ladybugs and Kim has chosen owls. Owls and ladybugs are cute! Let’s not discuss the lunacy of dragonflies as a class theme. Sometimes you have to just commit to your mistakes choices. 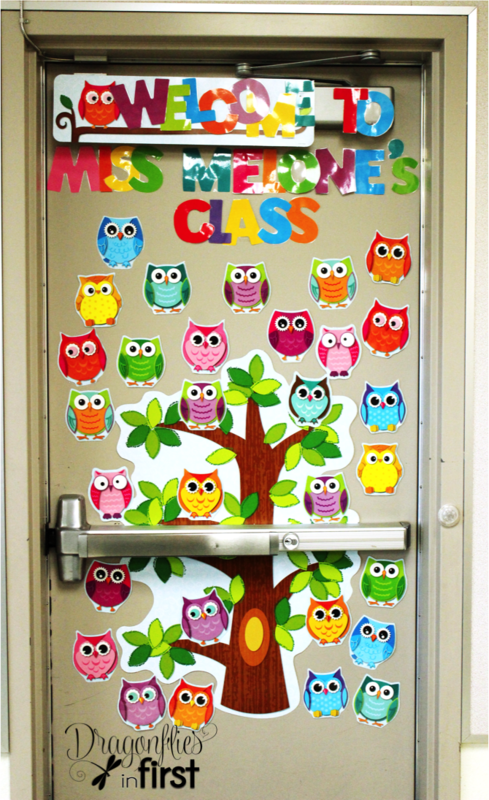 Carson Dellosa has very cute owl decor. I decorated Kim’s door with some pieces from this series. Yep, I have worked in her room, not mine. It’s a denial thing, I think. I told you, she’s been good. I have not. 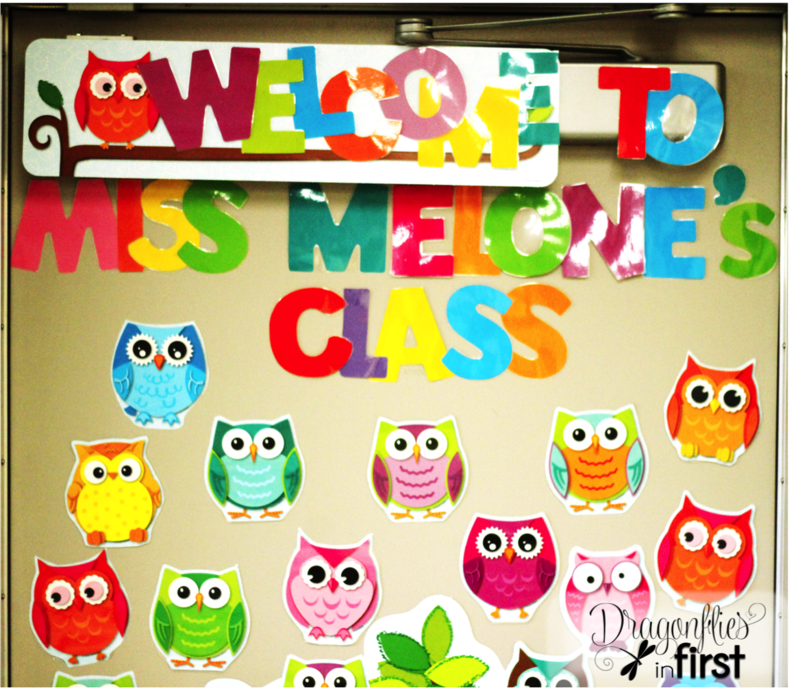 Once class lists are distributed, each child’s name will be written on an owl. During our “Back-to-School” – parent information – night, each parent will receive a little laminated coordinated leaf. 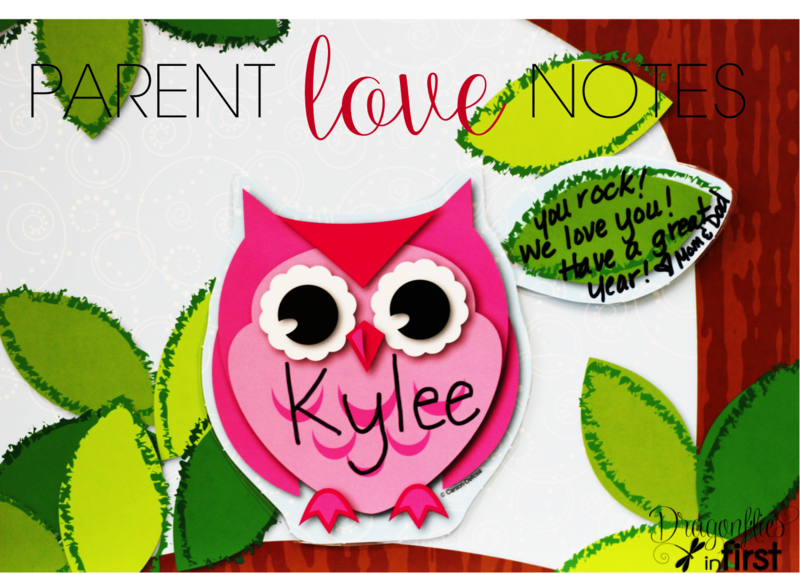 On that leaf the parents will use sharpie to write a little note to their kiddo and then stick it next to their child’s owl. These owl decor pieces are so bright and colorful! 36 owls are in this set! That is a very good thing since our class size is generally 30 kiddos! The owls can be used for so many things. WHY didn’t I choose owls all those years ago! Owls are so dang adorable! I laminated all of the elements so that they can be reused each year. Use Goof Off as a very convenient way to wipe off Sharpie quickly without leaving any trace of the marker! There are lots of tricks to removing Sharpie including tracing over the writing with a white board marker or even aerosol hairspray works; but I LOVE keeping things simple and quick! I LOVE the Color Splash EZ Letters I used on this door! Peeps they really are EASY. They are already punched out!! That is such a tremendous time saver! I may have squealed when I opened that package. I just threw what I needed into some laminating sheets. No need to try to carefully remove each letter from the card that it is always too attached to. I cannot begin to count how many letters I’ve ripped trying to quickly tear them away from their sheets. LOVE EZ Letters! This book is very manageable in size and is bound well. It would be a handy place to jot down notes during guided groups. It contains 96 colorful pages and includes all of the basic common core standards (particular state additions are not listed). I REALLY like the standards crosswalk. I think this valuable piece of information is often overlooked by teachers and makers of curriculum. In the standards crosswalk section, a standards overview for each domain is provided about the grade level before and after yours. 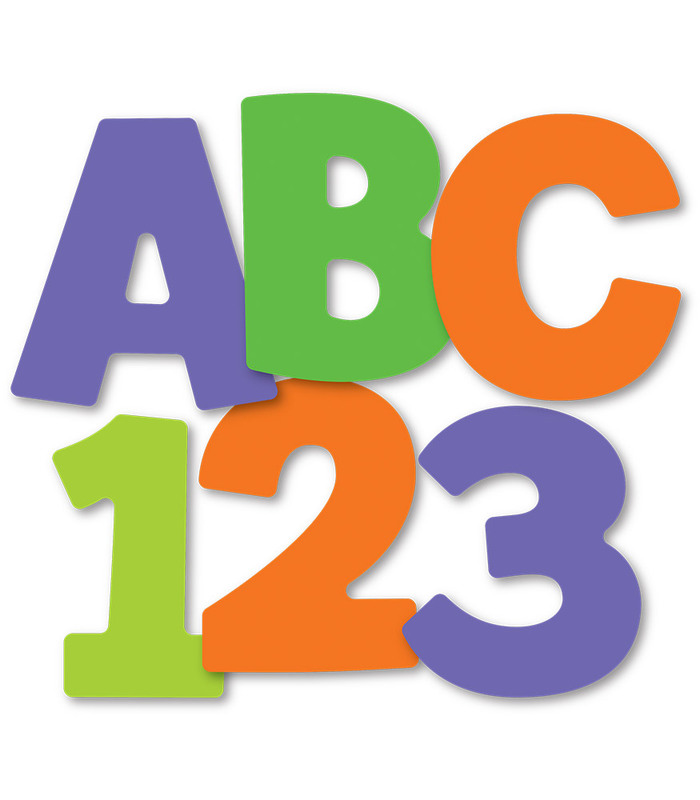 The Common Core Assessment Record Book is available for grades K-5. Review Disclaimer: I participate in the Brand Ambassador Program for Carson-Dellosa and have received these products for free to review. I’m looking forward to meeting my new kiddos in a few days – but I have to admit this summer went way too fast and I cannot believe it is already coming to an end!